Our tours are arranged on a Small Group basis average 6-8 people per group, as we feel this gives our travellers more flexibility and enjoyment. By reducing the group size our experienced local guides are able to get to know you all individually and show you the true beauty of Indochina. We Guarantee Departures and do not have minimum numbers. As we have flexible daily departure dates, many of our tours can therefore opperate on a private basis. Our local english speaking Tour Guides will meet and greet you upon your arrival, based upon your particular flight times and transfer you to your hotel. Each day you have a tour activity (excluding any free time) our professional Tour guide and driver will accompany you until you take your ongoing flight/train to the next destination, where you will be met and looked after by another local guide etc. Sightseeing tours are generally by quality air conditioned mini van or air conditioned car (subject to group size) and cold bottled water is provided in the vehicle each day of the guided tours. Comfy shoes should be used for walking around various sightseeing locations.Please also refer to your itinerary for further specific details regarding your tour arrangements etc. Our tours include internal flights within Indochina, all entrance fees, Daily breakfast, additional meals and transfer as stated in the detailed itinerary. International flights with full ATOL protection can also be included in your package (refer to the itinerary or contact us for prices). If you wish to buy your own international flights, this is perfectly ok. We will still meet you at the airport upon arrival and all tour details will remain the same. Add on guided day tours and beach extensions are available for all our tours and these can be included if booked PRIOR TO departure. 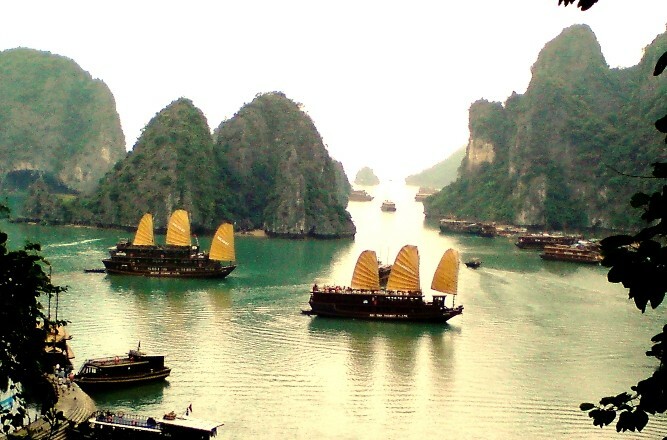 We can also arrange tailormade itineraries if requested. If you require international flights from the UK, we can obtain international and domestic flights in various class seats with many reputable airlines. We can also provide flights from many UK regional airports and depends on availability we will try to arrange direct flight when possible, subject to allocation. If you wish to be booked on a particular airline, please specify at the time of booking (supplement may apply). For the cheapest deal we recommend you book your international flights at time of booking, as this can save you pounds off your final holiday price. Full ATOL Protection Available. If you wish to buy your own international flights, we will still meet you at the airport upon arrival and all tour details will remain the same as shown in the itinerary. As a UK company registered with the Civil Aviation Authority (CAA), our ATOL number is 6450. We have been providing quality Far East holidays for a decade and continue to grow our destinations and products for our customers each year. We are therefore a well establish specialist Tour Operator, who prides itself on the high level of service we provide. We take a great deal of time and effort to source our hotel selection in each city for our travellers enjoyment. Our standard hotel selection is 4 star unless noted otherwise, however we can arrange hotels in all standards depending upon your requirements and prices are quoted in your detailed itinerary page. We also monitor our established hotel selection continually based upon each of our customers feedback received over the years. Please visit our Hotel page for full accommodation details. We generally include all breakfasts (mixture of western & oriental cuisine) at your hotel and a selection of lunches and dinners, which are all pre-booked as shown in your itinerary. Each lunch and dinner menu is selected to ensure you can try a wide variety of tasty traditional dishes and some dinners may include entertainment. Whilst on a days tour where lunch is not included, your guide will take you to a recommended restaurant and assist you to buy your preferred dish. We feel it is also an important part of your holiday experience to try buying a few meals by yourself and for your convenience the hotels we select provide a good choices of cuisine with English menu. Alternatively there are plenty of restaurants to choose from around the main sightseeing areas in the cities. A good meal (dinner) in a restaurant should cost about £8 per person. Remote places such as Sapa, generally has a lower standard of hotel accommodation and food selection when compared with similar accommodation in cities. Please appreciate we will always provide our travellers with one of the best accommodations available when visiting these areas. When travelling by train to Sapa, we choose soft-sleeper overnight trains. Every cabin contains 4 beds and it may be shared by male and female travellers. Private cabins can also be provided if requested. Although most of our tour packages are suitable to all travellers who are resonably fit and healthy, it is advisable to bear in mind the degree of walking involved. Some main sightseeing places do require conciderable time to walk around and many do have steps to ascend and descend. Therefore, it is worth to consider your fitness and agility with this requirement and if in doubt speak to your doctor. 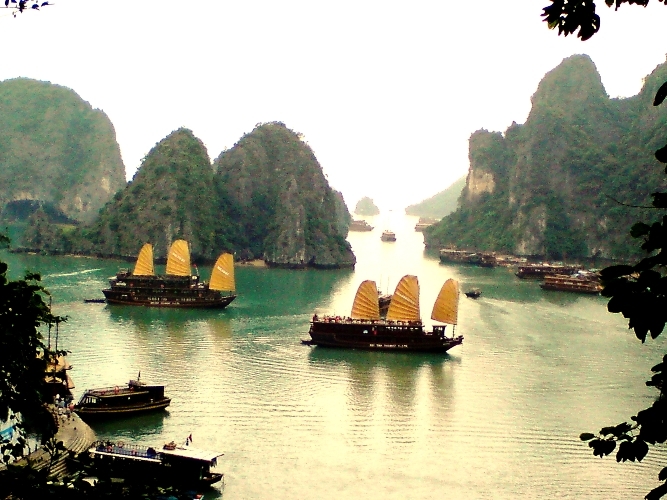 Vietnam: For UK citizens a visa is required to gain entry and there are 2 options available. 1) Obtain a stamped Visa issued directly at the Vietnam Embassy in London, or obtain Visa Approval Letter in advance of arriving in Vietnam and then obtaining your Vietnam visa upon your arrival at the airport. The later is our recommended method and Magical Indochina can obtain this official letter on your behalf. Price for this service is £25 per person and the visa Stamping Fee is $45pp paid at the airport upon arrival. 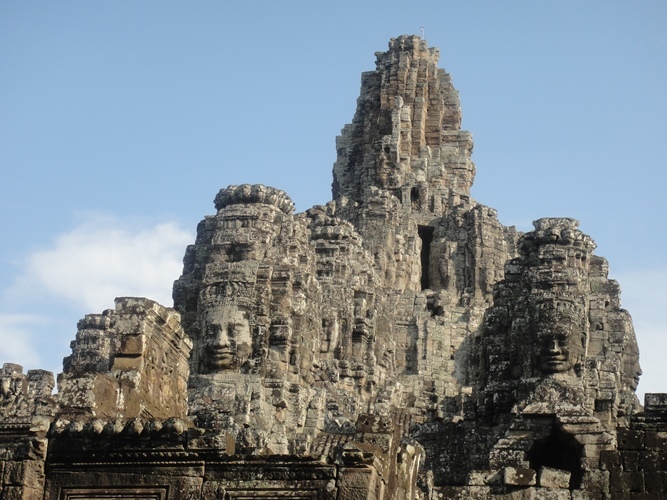 Cambodia: A visa is required to gain entry. The visa can be obtained at the airport upon arrival in Cambodia. You will require 2 No. passport photographs, a completed visa form (issued at airport customs) and the visa fee of $20 per person. Laos: A visa is required to gain entry. It can be obtained at the airport upon arrival in Laos. You will require 2 No. passport photographs, a completed visa form (issued at airport customs) and the visa fee of $35 per person. Prices are guide only and subject to change without notice. We advise travellers to be immunised against Hepatitis A, Typhoid, Tetanus, Polio and possibly Malaria. Please consult your doctor for further details. In General, 20 kg per person maximum check-in baggage is allowed. Please also check with your airline. We advise you to drink bottled water or boiled water during the tour. Chinese tea or coffee is served in hotels. Beer and soft drinks can be purchased in hotel bars, shops and supermarkets.